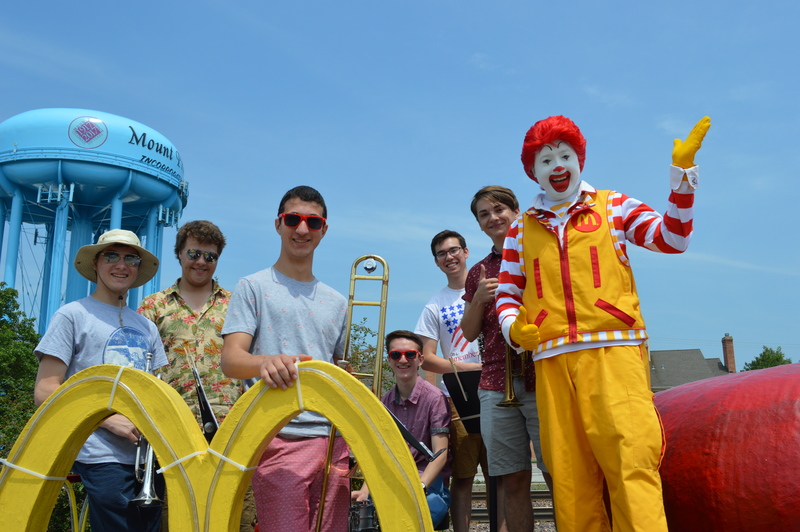 Ronald McDonald Rides on His Big Red Shoe Float in the Mount Prospect July 4th parade. 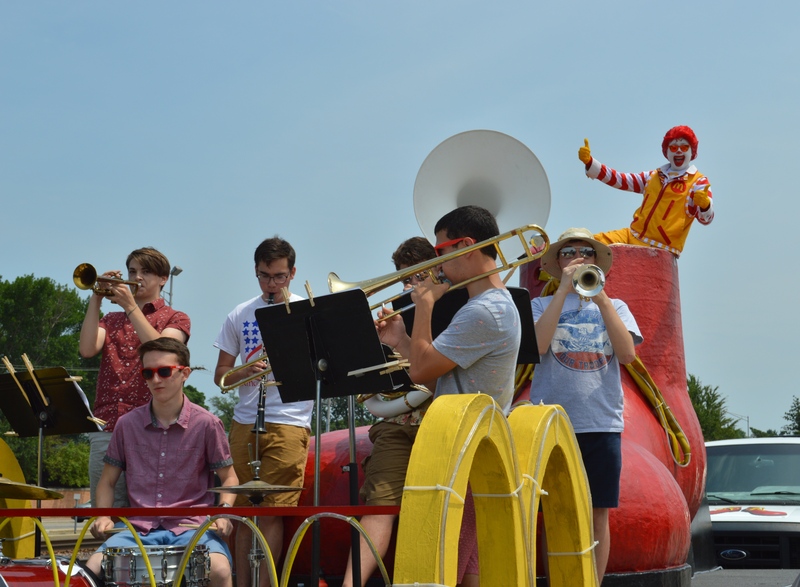 Prospect Heights High School recent graduates perform on the Ronald McDonald Giant Red Shoe Float. Matthew Gordon, Kevin Greene, Bobby Burns, Adam Mead and Matt Nejdl.